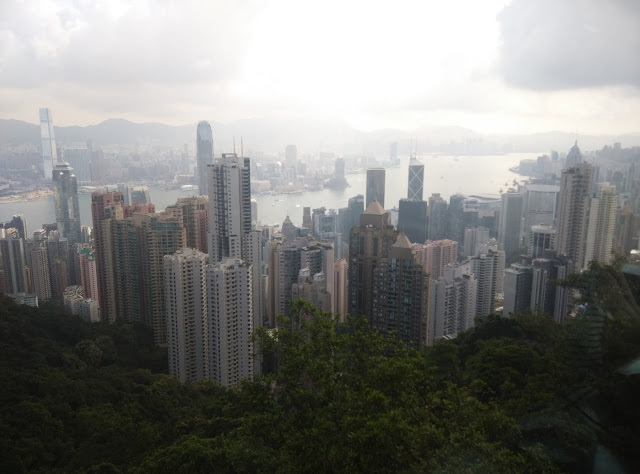 So now that I have made it clear that there is no visa fees to enter Hong Kong let me talk about the limitations. When you are in transit, you would already have the boarding pass to your next flight from Hong Kong to your destination and also your check-in bag would be with the airlines which means that in case you step out of the airport, you need to be back in before your boarding time. So calculate your transit time. Transit time would be the time you step out of the airplane to the boarding time mentioned in your next boarding pass. It will take you about 1hr-1hr30mins in the exit/entering formalities. To provide you an idea, I stepped out of the airplane at 6:30am and completed customs at 7:05am. On my way back, it took me 40mins to enter the boarding area (after immigration and security check). So now that we have the limitations clear, how much time do you have between landing and the boarding time to your next flight? I would classify the answers into 3 categories: Less than 5hrs, 5-7hrs, more than 7hrs. Now lets see what to do if you have more than 5hrs of transit. Well it will be a torture to sit in the airport (unless you love shopping) so I would suggest stepping out. 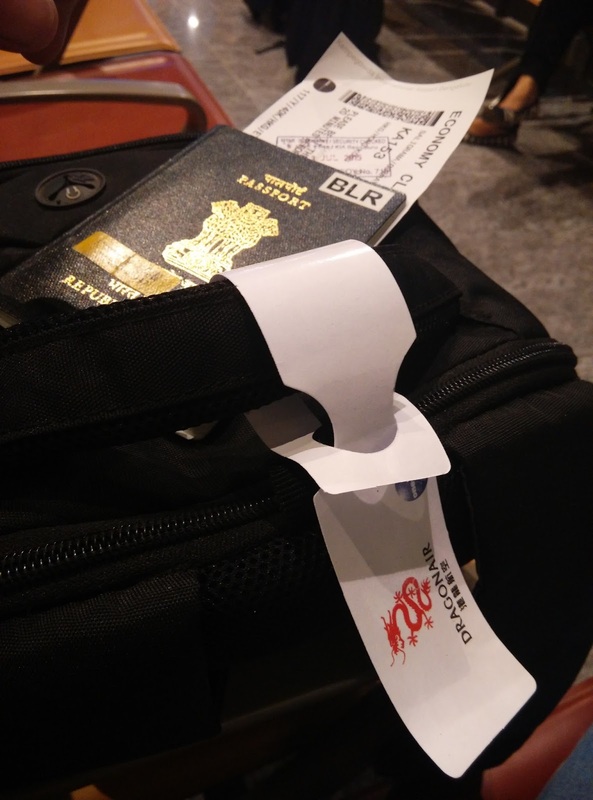 Any carry on (cabin) bag that you may have can be kept in the baggage room at the airport for a nominal fees. I only had a laptop bag so I could tag it around else the fees is about $50 HKD ($1 HKD ~ 8 INR). If you are not planning on eating street food or buying things off the street then you will never need to carry cash. In case you do need cash then I would suggest withdrawing from the ATM as the exchange rates in airport is lousy. Next thing is transportation, once you step out of the airport. 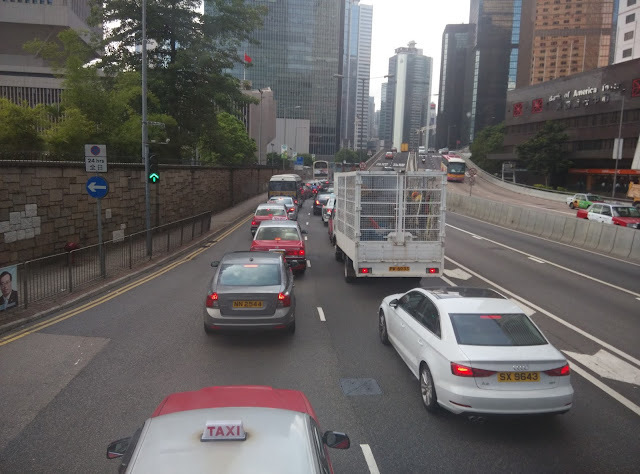 The public transport is amazing in HK and for your convenience I would suggest buying the Octopus card if you plan to step out. You can read more about it here. So when you have 5-7hrs of transit, you have 2 options. 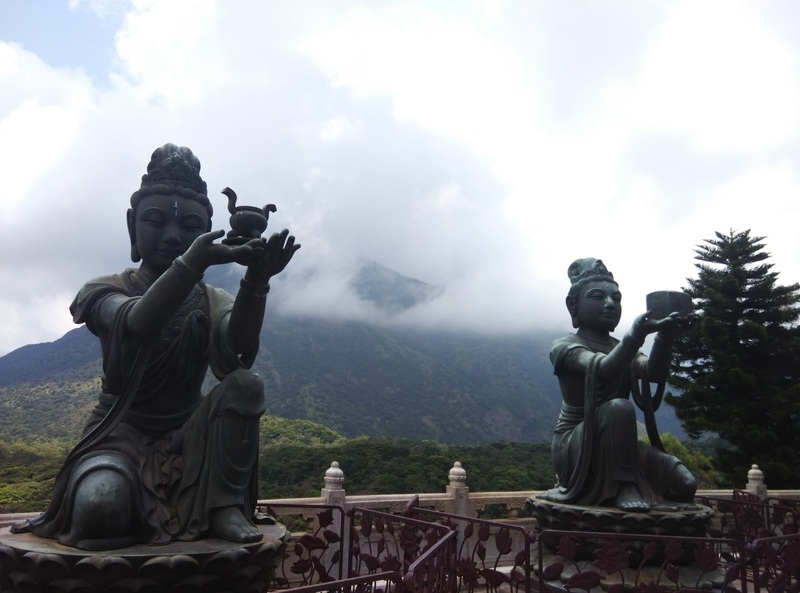 First option is Lantau Island and the big Buddha statue which I would highly recommend. 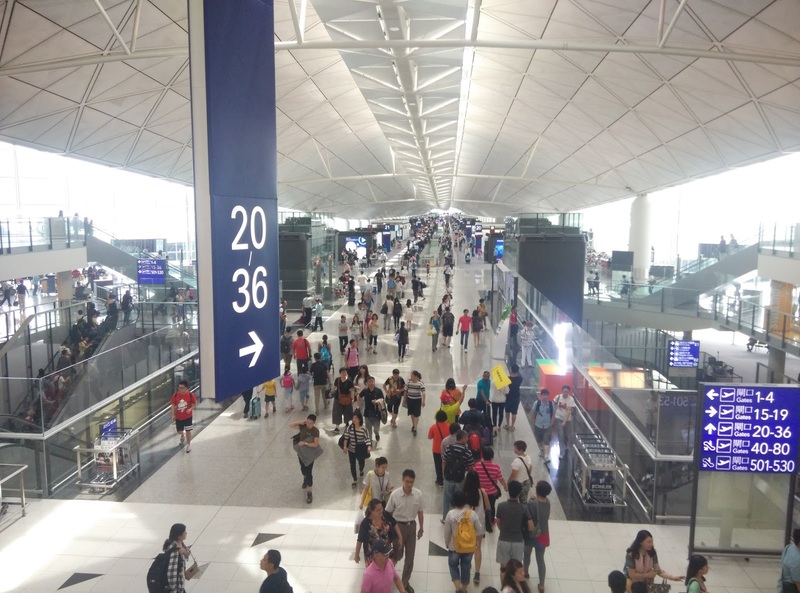 You will need to take the bus from the airport to Tung Chung which is around 15mins ride. 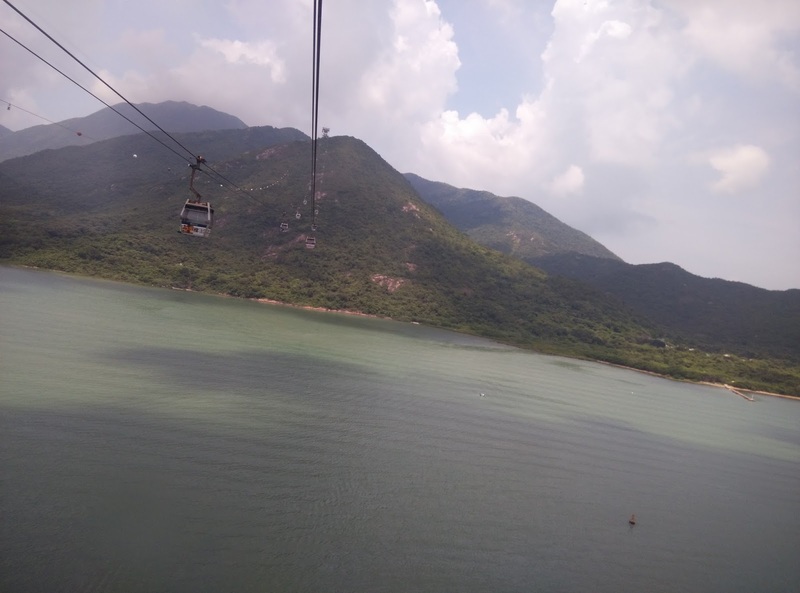 From here you can take the Ngong Ping cable car which is about 6kms long and is rounghly 30mins travel time. The line to buy ticket ($165 HKD for standard round trip) moves quick but it might take upto 30mins for your turn to board the cable car. 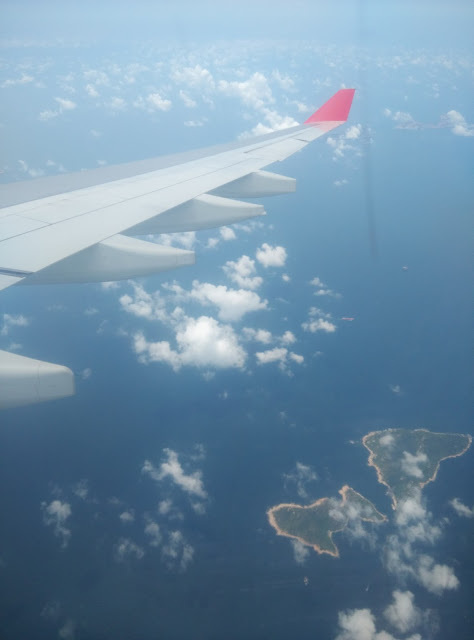 The view is spectacular and after passing half way you will be able to see the entire island which hosts the airport. As you admire the architecture you will see flights taking off and landing every minute. Once you reach Lantau island you can explore it at your own pace. 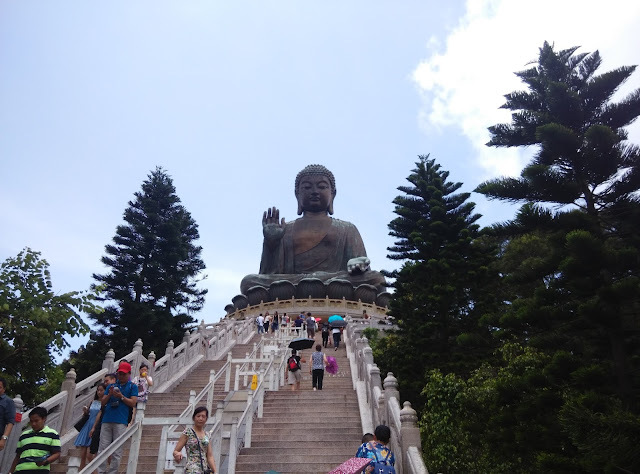 There is a giant Buddha and you could also take some guided tours around the island depending on how much time you have. 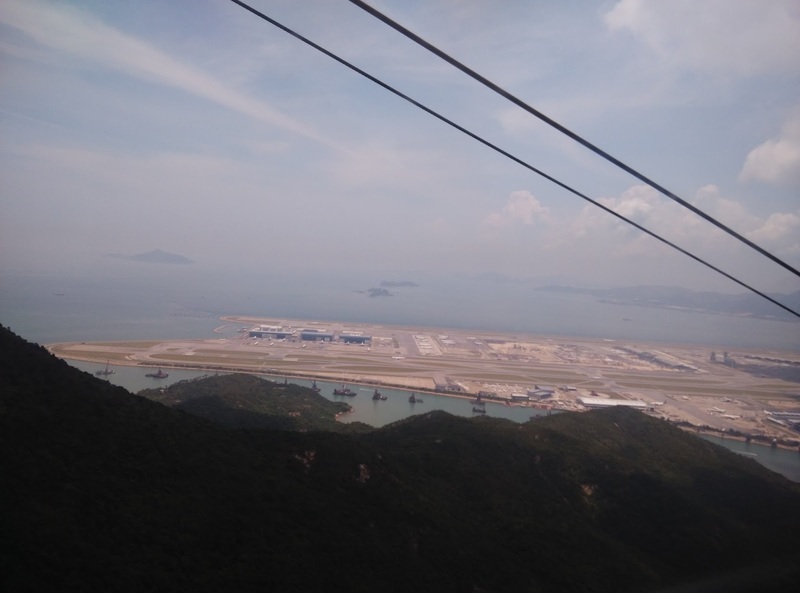 Make sure that you return to the cable car atleast 1.5hr prior to the boarding time. Second option is visiting the downtown. 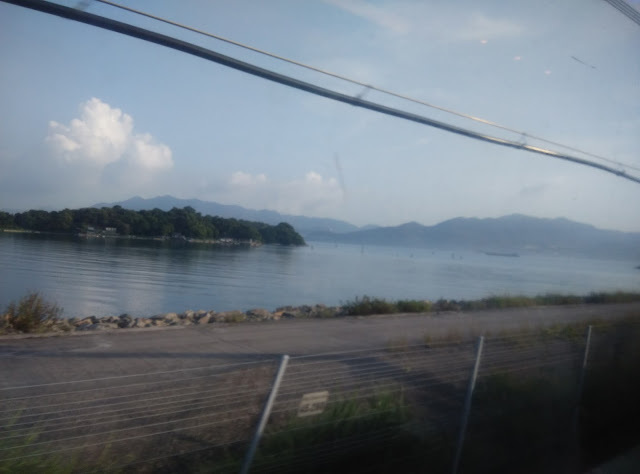 There is a high speed train that leaves every 10mins from the airport and takes about 30mins to reach Hong Kong central station. The ticket is $100 HKD for round trip (to/from airport). Make sure you either have a working 3G on your phone (SIM is available in airport) or have offline maps saved on your phone (I did this). Good thing is that there are maps kept all over the city with directions to every tourist place. You can use the Octopus card to take the bus, tram or the subway trains (known as MRT). 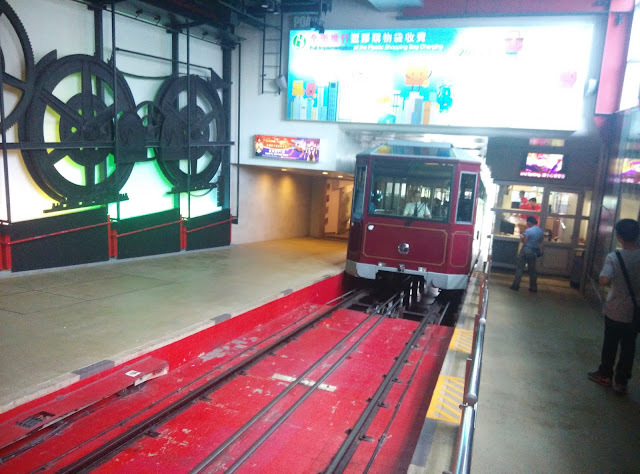 The peak tram is an old tram that takes you from the city to the peak tower from where you can get an aerial view of the entire city. 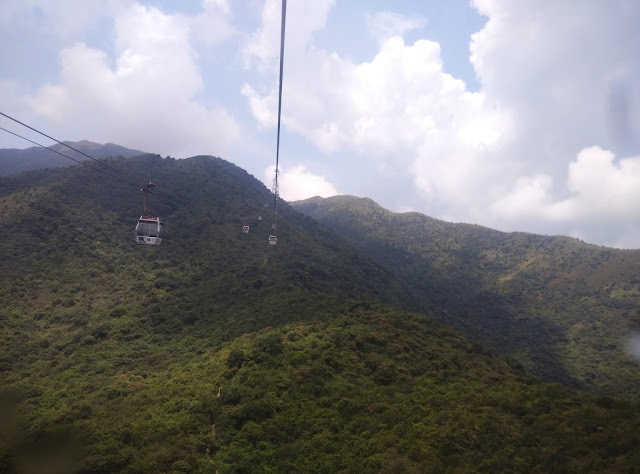 The tram ride is also different uphill and downhill. 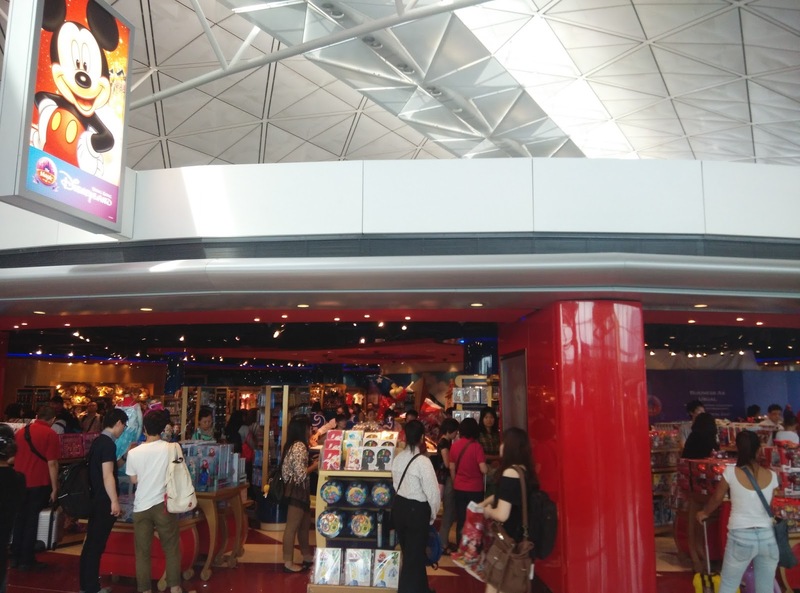 Visit Tsim Sha Sui which has a lots of places to shop and major tourist places. The star pier gives you the view of the downtown. I didnt ride the ferry as it was too humid and I chose to take the subway train away from the sun. 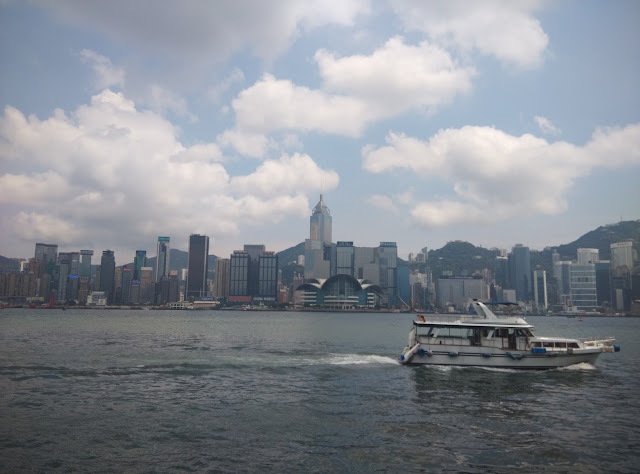 You could take the ferry ride from the central pier. 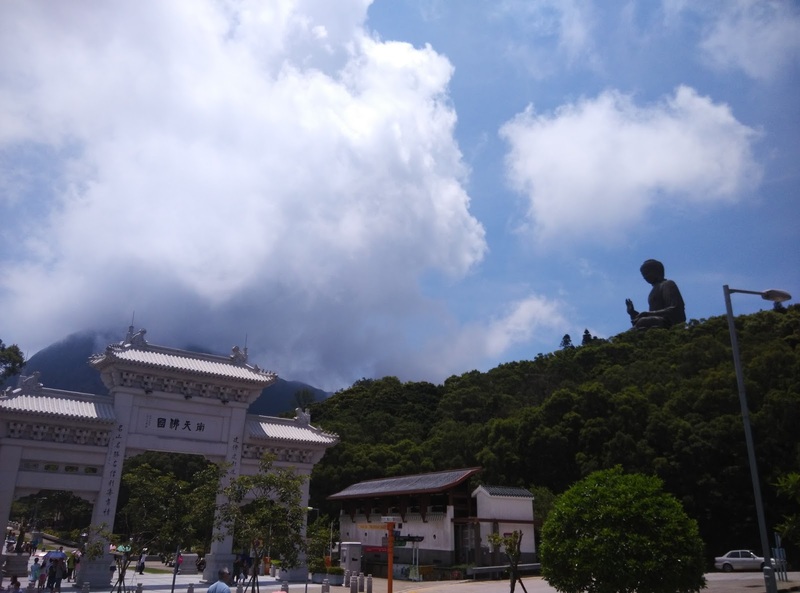 The star pier also has avenue of stars where you see statues of famous personalities. The street shopping of cheap electronics is on temple street (near Jordan MRT station). I went there in the afternoon but people were still setting up tents and shops. Apparently it is a night market so I missed out on that. There were 2 more places that I wanted to cover but I couldn't. One was Kwaloon park and other was the central-midlevel escalator which is the longest in the world. If you are planning on using this itinerary or find this useful, do leave a comment and I will be glad to help with any more information that you require. If you are not planning a travel and still read till here then Thank You. I would like to thank my friends Pradeep and Bharath who helped me plan the transit. Also my colleague Ron who gave an insight into what he had done when he had a long transit in Hong Kong. HongKong has started pre-registration checks for Indian citizens in 2017. From what they have mentioned in the website, it is a simple process requiring you to fill an online form and take the confirmation receipt as a pre-requisite to grant you visa-on-arrival. You can read more here.